Meghan brings to her practice excellent research, writing and the ability to analyze and master unfamiliar complex areas of law. 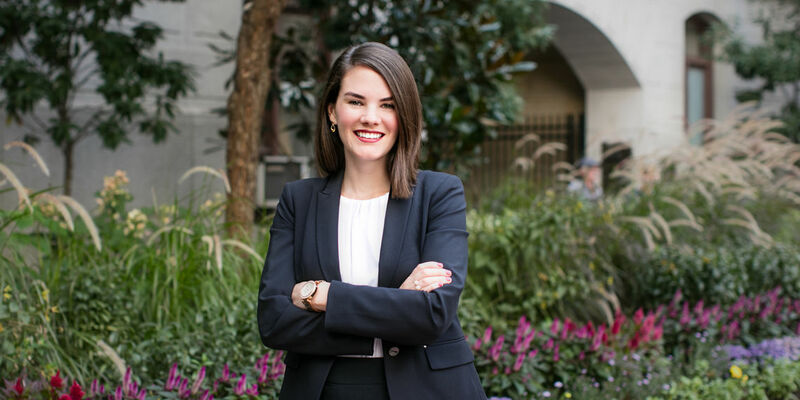 Prior to joining Conrad O’Brien, Meghan was a law clerk for the Honorable Harvey Bartle III of the United States District Court for the Eastern District of Pennsylvania. During this federal clerkship, she researched and assisted the Judge with drafting judicial opinions and orders deciding motions in criminal and civil cases that raised issues under the United States Constitution, federal statutes, the federal rules and state law. Meghan practices in the areas of Commercial Litigation and White Collar and Internal Investigations. Represents clients in a range of commercial litigation matters, such as construction disputes and breach of contract matters. Co-authored an amicus curiae brief filed in the Pennsylvania Supreme Court on behalf of a real estate industry peer group, which considered a factually-complex breach of contract issue that would impact the commercial real estate industry. Defends clients in white collar criminal investigations. Represents students throughout the country who are subject to university disciplinary proceedings or appeals for any alleged Title IX or code of conduct violations. Achieved complete dismissal of client from a products liability subrogation action after the court sustained preliminary objections for lack of personal jurisdiction and subject matter jurisdiction. Meghan enjoys outdoor activities such as skiing and golfing. She is an avid fan of Villanova basketball and the Pittsburgh Steelers. ‘Did the Court Dig Too Deep?’: An Analysis of the Pennsylvania Supreme Court’s Decision in Robinson Township, Washington County v. Commonwealth of Pennsylvania, 26 Vill. Envtl. L.J. 325 (2015).